Few bands in New Brunswick, let alone all of Atlantic Canada, play with the ferocity of Moncton extreme metal heroes Dischord. The group’s latest release, the three-track Epitaph EP, chronicles the rise and fall of Soviet Russia, beginning with the Bolshevik Revolution, through the Joseph Stalin-era and ending with the fall of the Berlin wall in 1989. What stands out about Epitaph, and Dischord in general, are the progressive time signature changes featured throughout their songs. 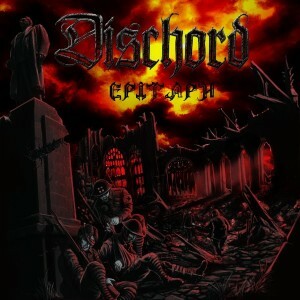 That versatility is seen by some as being essential to the extreme metal game, and, in Dischord’s case, it is something the group has in spades. While maybe not everyone’s cup of tea, Dischord is a shining example of the wonderful musical diversity right here in the Maritimes.